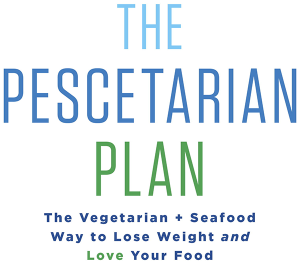 These are purest, “cleanest” types of popular seafood, and staples on The Pescetarian Plan. Take this list with you to the market or restaurants (or look it up on your smart phone) . Seafood in blue are rich in health-promoting omega-3 fats. SARDINES, PACIFIC Wild-caught in the U.S.
TILAPIA Farmed in the U.S.
TROUT, RAINBOW Farm-raised in the U.S.
* Although salmon is low in mercury, according to some studies, farm-raised salmon can contain high levels of another contaminant—persistent organic pollutants (explained on page 117 of The Pescetarian Plan). That’s why farm-raised salmon didn’t make this list. But it’s OK to eat it if you limit consumption to no more than six ounces, six times per month.